3330 W. Woodland Blvd. 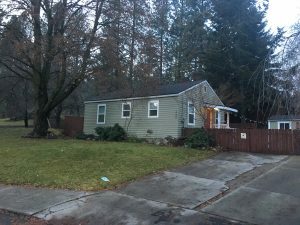 Spokane, WA 99224 : Sold Quick! 3330 W. Woodland Blvd – This home sold super quick before we could even finish advertising! That’s what happens when you have a great home priced just right for the market. Located across from Finch Arboretum this was a 2 bed, 1 bath house. Newer ductless heating system installed, updated vinyl windows, new roof 2 years ago. Off street parking. Want to find a similar home or something in this area please contact us. We can help with all of your real estate needs!